 Q&A: Maximizing Profits in Hospital-Based Radiology Practices, Part 1 - ONRAD, Inc.
DiagnosticImaging | Increased regulations and higher fixed costs have many private radiology clinics across the U.S. choosing to affiliate with local hospitals or healthcare systems. Doing so, however, has raised new questions on the revenue side. Does it become easier or more difficult for a radiology practice to maximize its financial efficiency once it joins a larger healthcare system? What are the pitfalls — and the opportunities? In this four-part series, representatives from Medical Management Professionals Inc., an Atlanta-based company that partners with ZirMed to provide billing services and revenue cycle management and practice management solutions to hospital-based doctors and practices, discuss operations, HIPAA 5010 and ICD-10 implementation, industry changes, and selection of an RCM partner. Here, MMP’s Jana Landreth talks operations. Based on MMP’s experiences with its customers, what controllable metric has the biggest impact on the revenue and profitability of a hospital-based radiology practice? Proper insurance contract performance is something a practice can address in order to impact cash flow immediately. A practice should measure the percentage of procedures on which it is paid accurately with the first submission of a claim (i.e., clean claims rate). From there, reviewing the causes for non-payment or inaccurate payment should be considered and solutions for improvement implemented. For example, if 10 percent of claims are initially denied due to inaccurate patient information, a meeting with the hospital’s admission staff to improve the quality of admission data may be in order. Or, if a particular CPT code is consistently paid at a rate lower than the agreed upon fee schedule, then the issue should be brought to the payer’s attention and remedied. Are there key statistical ranges that you believe practices should shoot for? Among the most effective metrics for monitoring a practice’s revenue are: 1) payments per total RVU by payer; 2) adjusted collection percentage (ACP) by payer; and, 3) bad debt recovery as a percentage of bad debt. The key to making them impactful is to first determine your practice’s appropriate range or “goal” for each metric and monitor performance against that goal. One of the most common mistakes practices make in analyzing revenue is applying another practice’s statistical range for these metrics to their own practice and drawing dangerous conclusions. For instance, a practice might believe its payers and billing department are performing well because it has an ACP of 90 percent while a peer has a 75 percent rate and the surveyed average rate is 88 percent. However, these differences could be for many reasons outside of billing or contract performance. In fact, the peer with the 75 percent ACP may be on goal, while the practice with the 90 percent ACP is leaving money on the table. This is not to say there is no benefit to comparing these metrics to those of a peer. Once a practice establishes what these metrics should be, billing and contract performance should be measured against the goal and the goal then compared to the competition in order to understand how a practice differs within the marketplace. What is the single biggest cause of lost revenue for hospital-based radiologists? The single biggest cause of lost revenue for hospital-based radiologists, and perhaps the most frustrating, is not getting paid for the work a practice is already doing. Thanks to billing innovation, staff can almost always perform charge capture daily on 100 percent of procedures performed. Common missteps that cause a practice’s work to slip through the cracks and never be billed include performing only manual charge capture on a sampling of work, reconciling to an inappropriate hospital source document, and lacking necessary elements for proper coding in the dictated report.